Looking for ideas for a spark arrestor insert for the factory Akro exhaust for my 2008 FE450. My akro has an insert but no arrestor screen/tube. I've looked through the forum but all the old links are dead or the companies are gone. The parts fiche only points my dealer to the non-Akro exhaust parts. Any ideas? Last edited by Abominable; June 8th, 2018 at 12:41 PM. 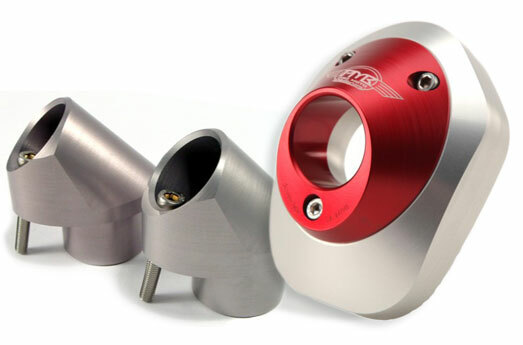 Perhaps contact Pro Moto Billet and see if they have one that will adapt. Thanks, I wrote them a note. Nothing listed on their website but you never know. I think the same akro can was sold aftermarket for some older KTM's, which would make it less rare, but I do not have anything to go by. Does anyone know? even a part number for the Arko exhaust my help. The can has nothing written on it. Last edited by Abominable; June 8th, 2018 at 12:42 PM. Just make one out of one of these. No great science about it part from the fact don’t make it restrictive. Give it some good length. Thanks Alan, Making one is an option but my preference is to get the proper part. Any ideas on that front? 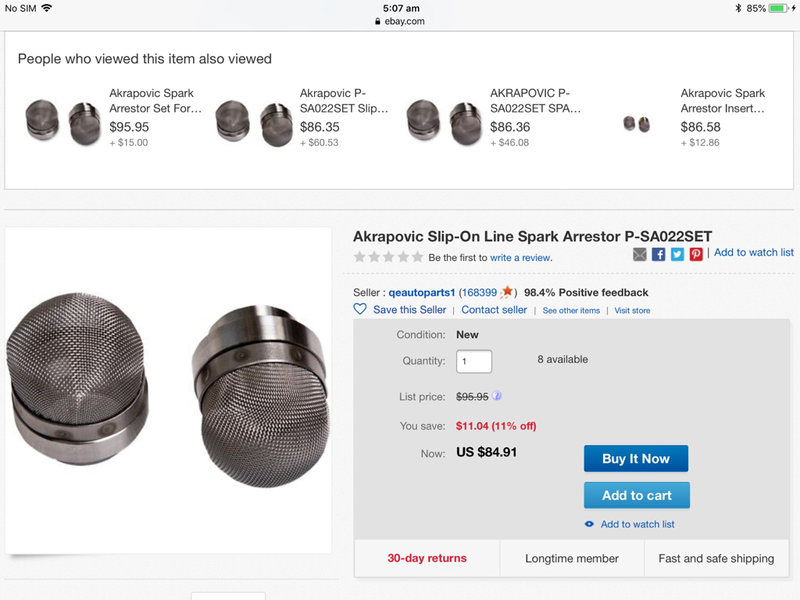 You can buy them new from Akropovic. Yeah, I've seen that Akrapovic add, but it is not the one I need. I'd love to go direct to Arkapovic to get this but for HQV/HUS they push you back to the bike dealers. Unfortunately, As my dealer can not find the part number for the Arka can, I'm caught in a bit of a loop. I've never seen a parts fiche with the Akra can on it. If I had that I would be good. Big thank you to Rick at bozarthsoffroad for finding me the right part. Received it today and fits perfectly.